Why your website urgently needs an SSL Certificate now! This change has been brought in by google whose main goal is to ensure their users can safely and securely browse and purchase on the internet. As nowadays people turn to the internet for virtually everything ensuring that users can trust it to be safe is of paramount importance. Online security like having an SSL Certificate is no longer just a good option for a website to have, it’s a necessity. 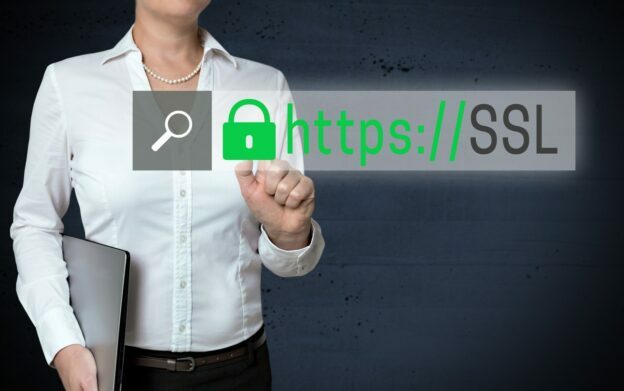 When google made this announcement they made it clear and sent a stark warning that if your website does not have an SSL Certificate your website will be marked as not secure in the url bar when people access it. This will of course have a detrimental effect on any website who is branded as such as virtually no user will proceed onto the site as they have lost all trust and they certainly will not buy anything in fear of their card details being used and abused. Does your website have forms or functions that require text to be inputted such as: Contact forms, Search Bars, Logins etc..? Is your website on HTTP://? If your answer to these questions is a resounding yes then you need to install an SSL Certificate. If you don’t implement SSL soon, your visitors will see a “Not Secure” warning on visiting your site which will damage your sites reputation irrevocably and will also cause your business to suffer. To inquire about getting an SSL Certificate for your website to stop it being marked as non-secure please get in touch today!